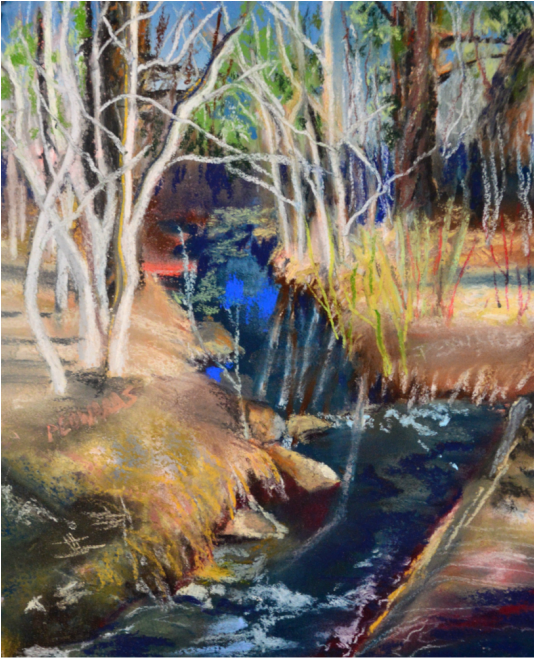 The painting is of Galena Creek in between Reno Nevada and Lake Tahoe… Loved doing this as there has been a drought and no snow in the Mountains and the spring was so busy and yet so tranquil. I loved using my Easel Butler for the first time in doing this painting…so very convenient to be set up without the bending and stretching to reach my pastels. I do all mediums but soft pastels are my favorite.